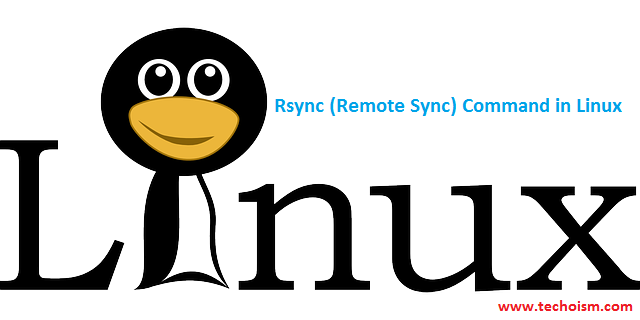 Rsync is a very flexible network-enabled syncing tool for replicating and synchronizing documents and Directories remotely and in addition locally in Linux system. With the assistance of rsync command, you can copy and synchronize your data remotely and locally crosswise over directories, crosswise over disks and network, perform data backup and mirroring between two Linux machines. Know more about rsync security advisories. rsync allows encryption of data using ssh protocol during transfer. Bandwidth used by rsync will be always less compared to other file transfer protocols. Using the following command you will sync two directories on a local machine from one location to another location. This command will help you sync a remote directory to a local directory. You can include and exclude files by specifying parameters using rsync command. It helps us to specify those files or directories which you want to include in your sync and exclude files and folders with you don’t want to be transferred. # rsync -avz --delete [email protected]:/var/spool/mail/ . You can specify the Max file size to be transferred or sync. You can set the bandwidth limit while transferring data from one machine to another machine.